"Never before at Opera Saratoga have all aspects of a production been so consistently strong and seamlessly integrated as with Daniel Catan's 'Il Postino,' which opened Thursday night. With all systems firing by singers, orchestra and designers, one's full attention can go to the opera at hand." "Every summer there is one production that is so goof that you want everyone to see it. This year that production is 'Il Postino' at Opera Saratoga. [. . .] It's a beautiful work, expertly performed and visually powerful. [. 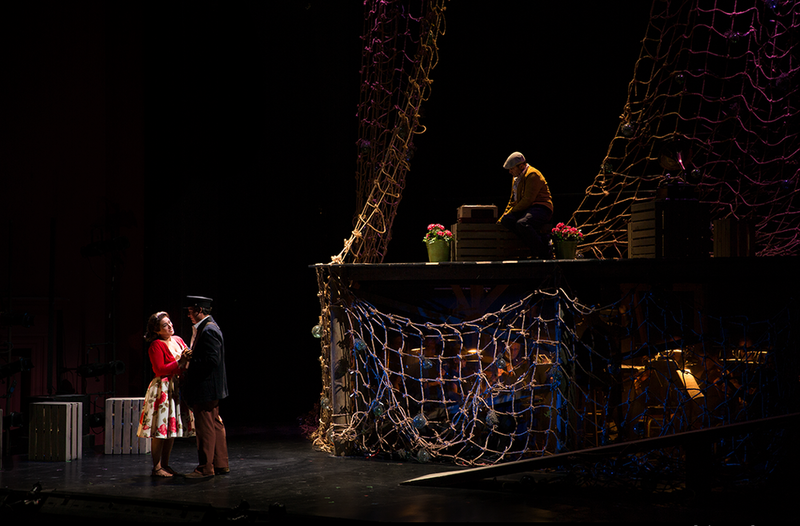 . .] Making the production more sensational is Lawrence Edelson's direction as he uses Caite Hevner's simple but evocative two-tiered set design to perfection."